CELUM Enterprise Digital Asset Management automates and accelerates your marketing processes and is the central hub for managing and sharing your brand & product-related content. "Seamless integration of DAM in the catalogue production and for e-commerce"
Celum DAM overs us the possibility to integrate all our systems like PIM, CDN und e-commerce solutions. The centralized data housing offers a huge advantage in areas like assembly of our webshops as well as the creation of catalogues. Out of our perspective is the combination of Celum with it’s DAM well done. Even if it doesn’t fulfill all of our out of the box requirements, is DAM still the closest product to a digital asset management system that we could asked for. Therefore we recommend your Celum DAM to potential clients – to test and the look through the different functions that might be of interest. We house all assets in connection with an independent channel release in Celum DAM. This means we use DAM to allocate assets through PIM, and to provide assets for webshops and for the creation of catalogues. This is the biggest advantage for us, as it is possible to use PIM and DAM as an “Single Source of Truth” in terms of a centralized data housing option and can use this data house for all channels. "celum brought order to the chaos of our digital assets"
Our implementation of celum's digital asset management platform was painless and genuinely turnkey - when we first introduced it as a solution to a chaotic landscape of assets at the University of Cambridge in 2011 we were up and running in weeks, and celum provided an attentive and practical implementation service. The user experience has continued to evolve and is mature and highly developed. Users love it and driving user adoption was a positive process. The platform is seeing rapid growth of both managed assets and user registrations from across the University, with brand portals and several other integrations in play. It's tough to find anything to dislike about celum's products, or the experience of working with them as a vendor. If I had to choose something it would be that their products are priced out of the reach of smaller organisations, who may be put off by the financials if not persuaded by the genuine return on investment that can be delivered. Even with an awesome product, DAM is also only as good as the processes, workflows, and metadata that a business layers around the software - those areas are often neglected and under resourced. 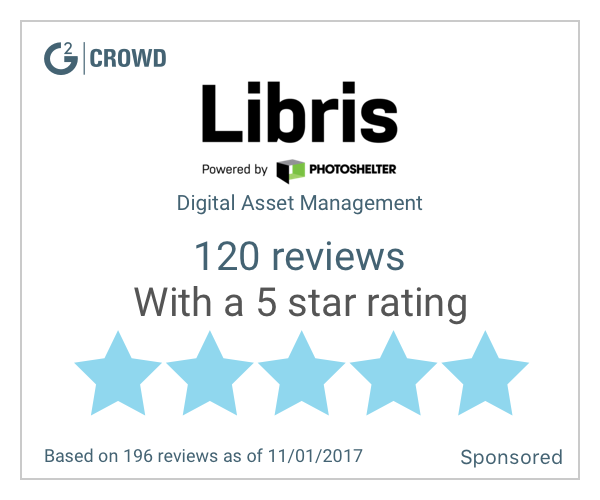 I would wholehearedly recommend celum as one of the very best products in digital asset management today, supported by a highly capable and friendly company who believe passionately in the work that they're doing, and the potential of DAM to make a huge impact on the effectiveness of businesses and institutions. The University of Cambridge's implementation of celum started out in the Judge Business School, which has experienced rapid growth over the last 25 years. The School has a strong international brand and invests significantly in marketing and profile-raising initiatives, which result in the production of significant quantities of brand assets. These photographs, illustrations and artwork were previously distributed among local and shared drives, CDs and DVDs, and other traditional media, located both at the School and with creative agencies. The School found it had a pressing requirement for a digital asset management system to organise these precious resources, and make them more readily available to staff across a wide range of functions, as well as external agencies and partners. celum is now being used more broadly in the the University, which as a whole, is in the possession of the most incredible collections of digital assets. These have sadly been stored in so many different ways across numerous legacy platforms - and much is lost on a regular basis, or simply not available to those who could realise its value. We saw digital asset management as a way to address this, and work continues today. "A piece of the multichannel marketing puzzle"
As celum Integrator we especially like the API and SDK of celum TEAM and ENTERPRISE Edition. This allows us to use celum as one part of a grand Product Information, eCommerce, eShop and Multichannel Puzzle. With celum our customers get a DAM solution they like to work with and gives us the power to create custom workflows or interfaces to service even very complex underlying business processes. As with all vendors we want a lot of new things very fast. For instance a full HTML5 multi upload or more export and import capabilities would be very nice. But we also understand that celum like any other software company is of course customer driven and therefore there is a list of features that need to be implemented first. I can highly recommend the celum events where you will be able to meet partners and customers alike. It's a great community and most of your questions will be answered. Most of our customers have to deal with an increasing amount of images, documents and video files that they need to push to other systems and external users. We connected celum to a variety of PIM (product information systems) and catalog production (Priint Comet) and Web 2 print solutions (1io). We create cockpit views for users using the celum technology underneath so that the different users have their personal work environments ... for instance the graphic designers work within their Adobe environment and the end customer can edit their templates online by just using a browser. "A little bit tricky at the beginning but very powerful when understanding it :)"
with Celum we can provide all the source imagery or ready made advertising to all countries over the world under the same interface with different object collections as well as provide in-house imagery. "Perfect DAM tool and excellent project and support team provided by celum "
The basic functionality does fullfill the business needs in most of the cases and if not, it is not difficult to build this in. The technical upgrade procedure is very fast so that the downtime is limited to a minimum. We did not need to learn and understand the tool during the first big project since we got excellent support and technical erpertise from celum. 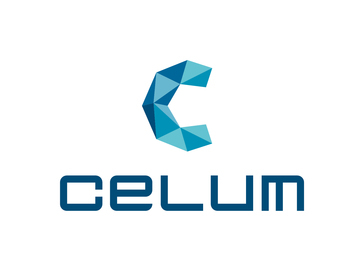 The reaction time from celum regarding problem determination and appropriate solutions was very good and they delivered this in a professional way, always with all needed documentation. The user inerface is a bit un-common and it takes some time to get used to it. The functionality regarding authorisations is fully implemented, but it can only be found at different places which makes it hard to find the appropriate settings. Please always consider to have all relevant assets also available in a cloud solution, especially when you are a big company with users around the globe and put some efforts into the needed folder structure since this is driving your authorization concept. We managed to re-new our brand web pages using celum as the DAM system along with integrating the whole DAM solution in the cloud to not experience performance problems. With this new approach we got a central system where all media assets are stored and it is easy for all involved parties like internal staff or agencies to use these assets. "Great DAM for the enterprise context"
Celum does focus on Metadata flexibility while allowing the assets to be stored everywhere. This enables Celum to integrate other storage technologies and applications. Celum users are therefore able to manage assets across systems. On the other side, UX for content managers is great since they do not need to leave their „home application“ just to work with assets of another application. I am still missing good integrations for digital signage applications. But that is the case with nearly all DAMs. Managing huge amount of assets with a lot of variants, versions and metadata. Especially in the software area, where screenshots are only valid for certain versions and are used for anything from marketing material to documentation, Celum really helps us to deliver publications with current and correct media. "I am admin of our database since 2009 and set up the system internally (form a content perspective)." The roadmap is well filled and moving ahead of the business needs. We have been using CELUM extenseively in a older version, so we identified the need to upgrade to Enterprise version and by this use even more functionalities available. Nothing worse mentioning. Not sure what else to write about it, if there is nothing to say. DAM usage of a best in breed solution, with multiple different business units and use cases. Managing and sharing all digital content produced in our company with anybody in the world and seamless integrated in our system landscape. There are different versions, we have team solution but would need enterprise solution. This is why my rating is mostely 6. Sharing digital content, fast, efficient and answering question of our dealers before they have even asked for it. Brand awareness is rising. Once source for same image. "Everyday user for web asset management"
Could have more powerful integration with our web platform. understand what level of integration you need with other apps compared to what is offered. We use celum to support all of our web and print needs for image management. We also use the DAM to share assets across our decentralized marketing team. "We should have went with another product"
I had a good experience with support person who assisted in the installation of the software. Misleading sales practices, from speaking to others in the field this practice does not seem to be limited to the one sales person we worked with. We needed an enterprise level DAM solution that would work with Active Directory. Celum Dam does have Active Directory integration but comes at an additional cost. filehandling. You can organize multiple assets at once. The missing User-Download-Reporting to show wich user downloaded what. We realized a DAM portal for our client to share packshots and salesmaterials with other companies. Celum is not only delivering a state of the art DAM; they also truly understand how Marketing and Brand Teams work and the challenges they face. Celum is constantly evolving to address These challanges making sure that Celum is not just about Managing assests but rather about manging the brand experience. User Interface should be simplified even more to ensure "infrequent" users can easily use the tool as well. "Nice solution for asset management"
"Celum is the leading DAM!" * We monitor all CELUM reviews to prevent fraudulent reviews and keep review quality high. We do not post reviews by company employees or direct competitors. Validated reviews require the user to submit a screenshot of the product containing their user ID, in order to verify a user is an actual user of the product. Hi there! Are you looking to implement a solution like CELUM?